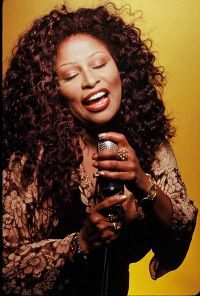 Chaka Khan is scheduled to perform Saturday on the Main Stage from 9:25 until close. Chaka Khan, a ten-time Grammy(r) Award winner best known for timeless hits “I’m Every Woman” and “Ain’t Nobody,” returns to SPAC for the first time in twenty years. For over four decades, Khan has inspired multiple generations of artists and audiences alike with a voice that enables her to sing in numerous music genres, including R&B, jazz, pop, rock, gospel, country, classical and dance music. She has released twenty-two albums and racked up ten #1 Billboard magazine charted songs, eight RIAA certified gold singles, and eleven RIAA certified gold and platinum albums. She is the recipient of numerous awards, including a BET Honors award, induction into the Apollo Legends Hall of Fame and the Hollywood Bowl Hall of Fame, and received a star on the Hollywood Walk of Fame. A true renaissance woman, Khan is a singer, songwriter, visual artist, author, actor, philanthropist, activist, and mother. You may also want to check out the entire 2017 Lineup! Photo credited to Tim Fielding.